Following the restoration of the Catholic Church in 1850, a Bishop was appointed to the new Diocese of Northampton but there was no Catholic church local to Spratton. In 1953 St Patrick’s Church in Duston opened, taking responsibility for villages north of Northampton but still a considerable distance from the village. Several local people, in particular Mrs Greenwood of Greenwood Stores and Dr Nora O’Leary of Creaton, were keen to establish a base in Spratton and purchased of an old army mess hut. It was installed on land in Yew Tree Lane. The chapel was named English Martyrs and, at the request of the Bishop of Northampton, became the responsibility of the Franciscan order of Greyfriars who had charge of the parish of Duston. Mass was said every Sunday by one of the Greyfriars and attended by about 50 people from Spratton and the surrounding villages. In 1991 the decision was taken to concentrate the Greyfriars in major cities and no priests were available so the Bishop of Northampton was forced to close the chapel. 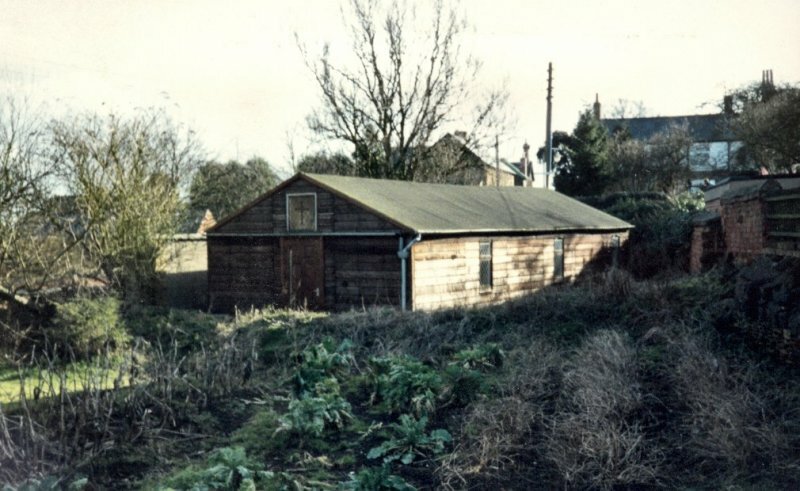 The hut and land were sold to the local scout group and a simple wooden cross above the door is a reminder of its former use. Over the years a number of Spratton residents, some very prominent in the community, worshiped with the United Reform Church. But little historical documentation has been found and so further information would be greatly appreciated. 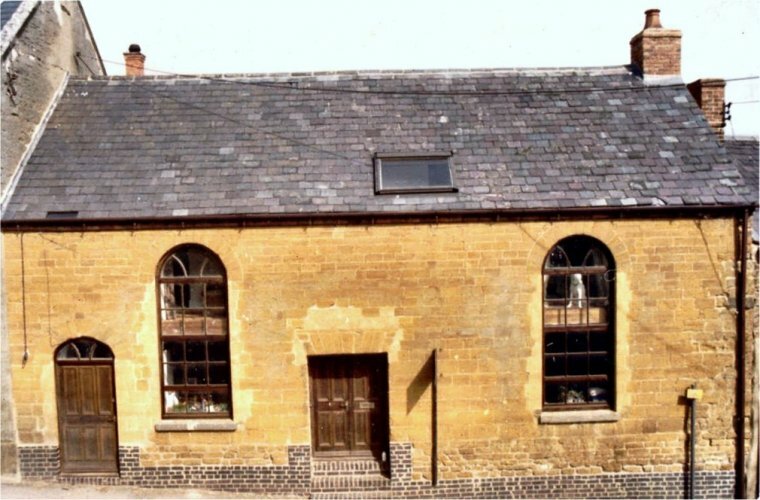 The Baptist Chapel on the Brixworth road was licensed as a place of worship in 1843. 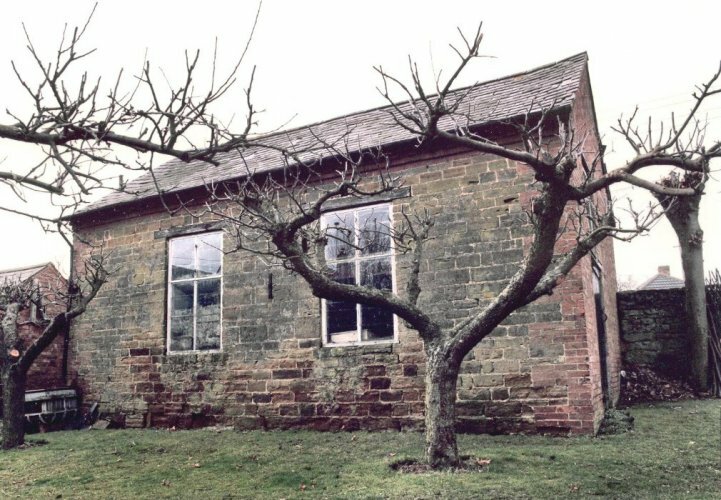 £140 was paid for the building to be used in Trust as a Chapel and Meeting House and ten Trustees appointed. It was to be “a place of public religious worship for the service of God by Protestant Dissenters called the Independent and Particular Baptists”. Thomas Warner was the first minister. Another was James Roach who died in 1893 aged 42. He was buried in the churchyard of the Parish Church opposite the chapel. The chapel was not licensed for weddings but an exception was made in July 1966 when David Billingham and Jillian Green wished to marry. The signatures of all the members had to be obtained in order for permission to be granted.